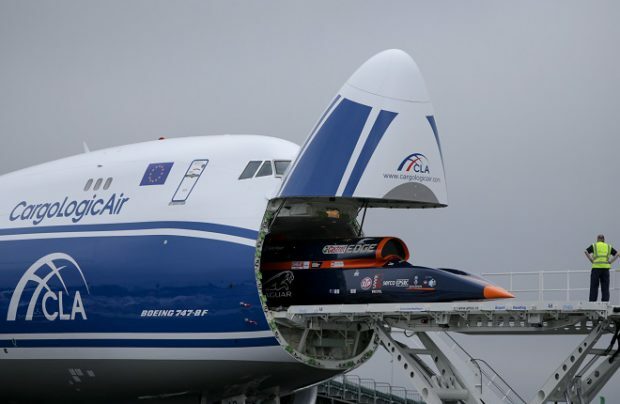 British all-cargo airline CargoLogicAir, which is affiliated with Russia’s Volga-Dnepr Group through the same owners, has launched its second regular route linking London and Frankfurt to Dubai and Hong Kong. The new service, which includes a direct Hong Kong-London leg on the way back, will offer customers a 135-ton weekly cargo capacity. The carrier will serve the route with its new Boeing 747-8 Freighter, which was delivered in May this year. “The launch of our new weekly service from London via Frankfurt [and] Dubai World Central [to] Hong Kong and back to the UK is the result of talking to our customers about the routes where they need additional capacity,” CEO Dmitry Grishin said. “Our strategy remains on track, and we are now actively looking to add a fourth Boeing 747 freighter to our fleet early next year, in line with our business plan to be operating a fleet of five 747Fs by the end of our third year of operations. CargoLogicAir received its British AOC in the beginning of last year. It operates charter services and works under ACMI contracts globally. The airline launched scheduled operations in August 2017 with a twice-weekly London-Atlanta-Mexico City flight. It operates two Boeing 747-400Fs and a single 747-8F. A press release for May this year says the carrier plans to bring its fleet up to five airframes over the next several years. It registered a 44% year-on-year growth in the first half of 2017.